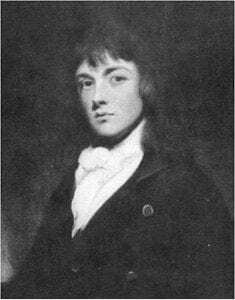 William Herbert was an accomplished scholar, poet, plant hybridizer, and Church of England clergyman who eventually rose to the position of Dean of Manchester. Charles Darwin referred to Herbert as “the third greatest Hybridiser who ever lived.” And indeed, Herbert’s evolutionary view of the world was largely informed by his plant-breeding work. In 1822, Herbert wrote a seminal paper on the evolution of the constituent species of plant genera from a common ancestor. This paper, “On the Production of Hybrid Vegetables” is extraordinarily forward-thinking and uses the results of hybridization experiments between species as a basis for creating an essentially biosystematic concept of plant relationships. Herbert inferred that the ability of two species to hybridize must be evidence of evolutionary relationship and descent from a common ancestor. He wrote “If it is meant only that fertile offspring may be supposed to intimate, that the two parent plants have branched out from one common stock since the creation of the world, I am fully disposed to admit the truth of that position; but I should go much further, considering that many species…have also descended from one original…” (16). He would go on to define a genus as “all the species which have peculiar affinities, distinguishing them from all others; and which, I think, render it probable that they have branched, since the creation of the world, from one original” (21). 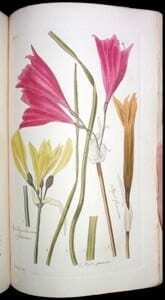 Plate from William Herbert’s masterpiece, Amaryllidaceae. The evolutionary passages can be found on pages 16 – 20 and 335 – 348. Click here to read this book.